The wretched state of GPU transcoding – ExtremeTech – Carpet Bomberz Inc.
For now, use Handbrake for simple, effective encodes. Arcsoft or Xilisoft might be worth a look if you know you’ll be using CUDA or Quick Sync and have no plans for any demanding work. Avoid MediaEspresso entirely. 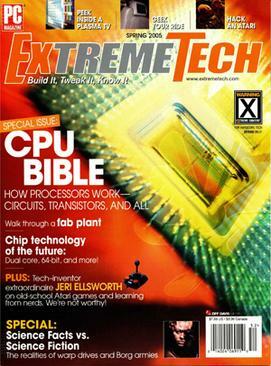 via By Joel Hruska @ ExtremeTech The wretched state of GPU transcoding – Slideshow | ExtremeTech. Joel Hruska does a great survey of GPU enabled video encoders. He even goes back to the original Avivo and Badaboom encoders put out by AMD and nVidia when they were promoting GPU accelerated video encoding. Sadly the hype doesn’t live up to the results. Even Intel’s most recent competitor in the race, QuickSync, is left wanting. HandBrake appears to be the best option for most people and the most reliable and repeatable in the results it gives. Ideally the maintainers of the HandBrake project might get a boost by starting up a fork of the source code that has Intel QuickSync support. There’s no indication now that that everyone is interested in proprietary Intel technology like QuickSynch as expressed in this article from Anandtech. OpenCL seems like a more attractive option for the Open Source community at large. So the OpenCL/HandBrake development is at least a little encouraging. Still as Joel Hruska points out the CPU still is the best option for encoding high quality at smaller frame sizes, it just beats the pants off all the GPU accelerated options available to date.